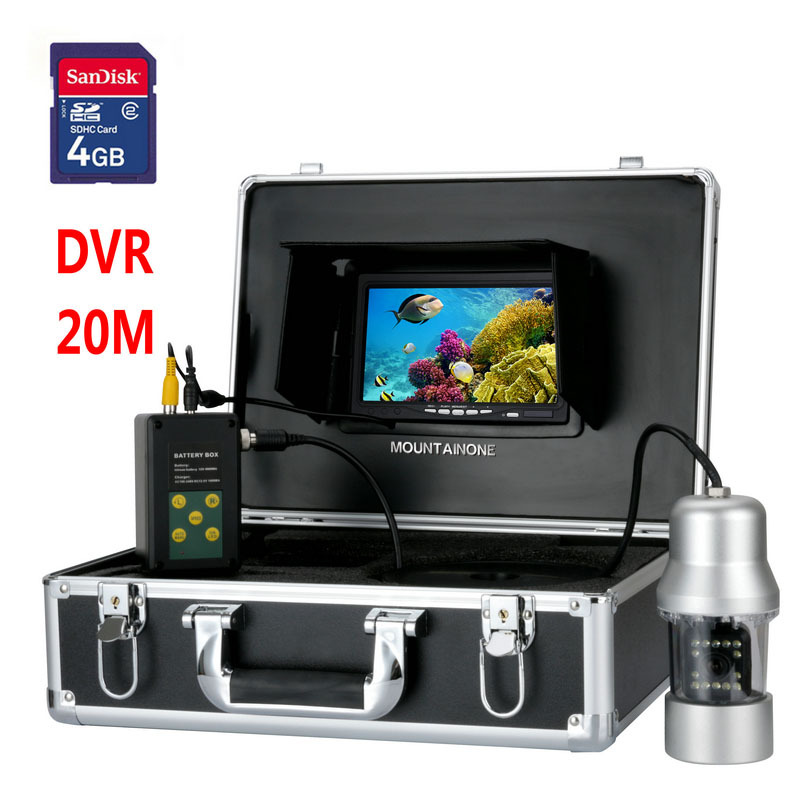 Successfully Added Underwater Fishing Camera - 360 Degrees, 1/3 Inch Sony CCD, 700TVL, Remote Control, 7 Inch Color Monitor to your Shopping Cart. Underwater video camera system for hard disk recorder, remote control, 14x white light. The underwater fishing camera with a 360 degree rotating angle of view uses the 1/3 inch SONY CCD and the remote control as the characteristic.20 meter cable length to observe exactly what is happening in the wave. If you’re looking for an easy way to maximize your catch potential or monitor marine life then this handy underwater camera is just the trick. Don't waste hour’s waiting for a fish to bite and catching nothing. Just lower this 360 degree view camera beneath the water and you can see just how many fish there are. This makes selecting a location to fish in any river, lake or sea a much easier task and lets you target the fish you want and even select the correct bait before casting a line. Because this camera can rotate a full 360 degrees you get the perfect view and can use the remote control to pan the camera without getting wet. With a high quality SONY CCD and 14 bright white LEDs you can peer into the depths. A 20 meter high quality cable send all the data to a 7 inch monitor and to keep the camera safe its encapsulated in a strong plastic case. If your monitoring marine life then you can choose to record video or snap pictures, which can all be stored on a micro SD card by using the available slot. With a protective easy to carry case this kit is highly transportable and ideal for any oceanographer, marine biologist or fisherman. This product is in stock now, we guarantee next working day shipping and offer a 12 months warranty on all our products. Brought to you by the leader in electronic devices and wholesale outdoor gear, Chinavasion. Support SD card up to 16GB.